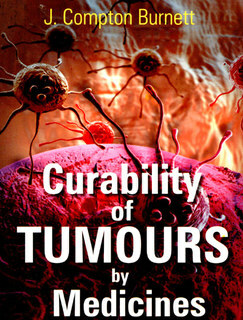 My standpoint is that a tumour is the prod¬uct of the organism, and to be really cured the power to produce the same must be eliminated, got rid of; cutting it off merely rids the organism of the product, leaving the producing power where it was before, often the operative interference acting like pruning a vine; i. e., the tumour-producing power is increased, and the fatal issue is brought nearer. The following case brings well into relief what I mean: Miss X., aet. 49, still regular, came under my care on July 31, 1893. Formerly had bad eczema, was cured in a fortnight by an ointment; several years later—June, 1885—a tumour was excised from her left breast; said tumour recurred in the same breast and was, July, 1887, again removed together with the whole left breast; then a tumour came in the right breast and in January, 1888, the tumour and whole right breast were removed by a very neat operation. She came to me for a recurrence of the process in the middle of the scar of the right side with a good deal of in¬flammation. The treatment lasted four years, ending during the course of the cure in eczema, and patient is actually in better health than ever before in her life and has now begun life anew as an amateur artist. The eczema is also well. 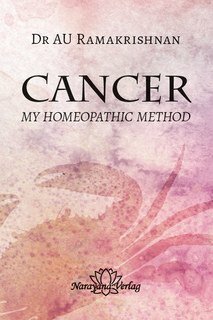 What I am here concerned to demonstrate is not how this particular case was cured, but to make manifest that a tumour is really a vital growth arising from disease in the individual and is not itself the disease at all; the initial and subsequent eczemas and the tumours being one and the same thing; i. e., the products of the disease.